Takeaway: Industry sales decelerated for 2 weeks running, driven by weakness in discretionary categories. Does not bode well for department stores. 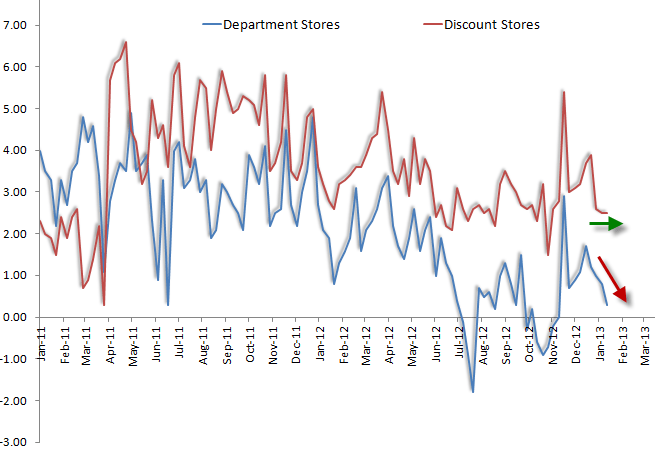 Here’s an interesting call out with some of today’s Retail Sector data. 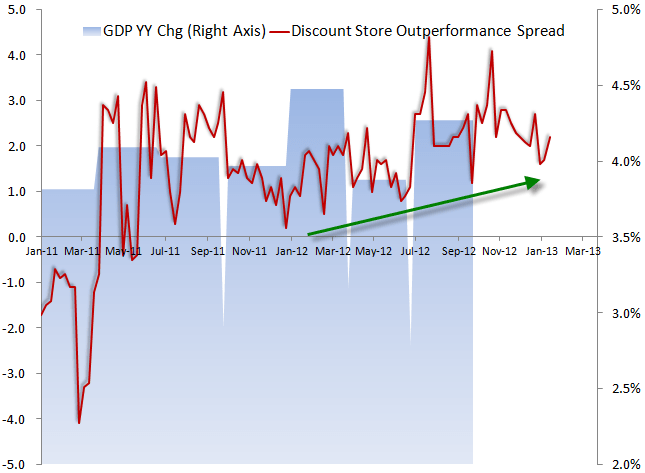 Specifically, sales decelerated for the second week in a row, and the underlying trends suggest that discount stores are holding steady while department stores continue to decelerate. It's probably too little and too soon to use that as a broad statement about the consumer, but on a day where Coach compounded its company-specific issues with statements about department store promotional activity, the data can definitely not be overlooked. It’s surprising that Macy’s actually traded up on these datapoints today. 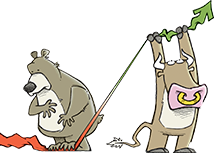 It remains one of our top short ideas. 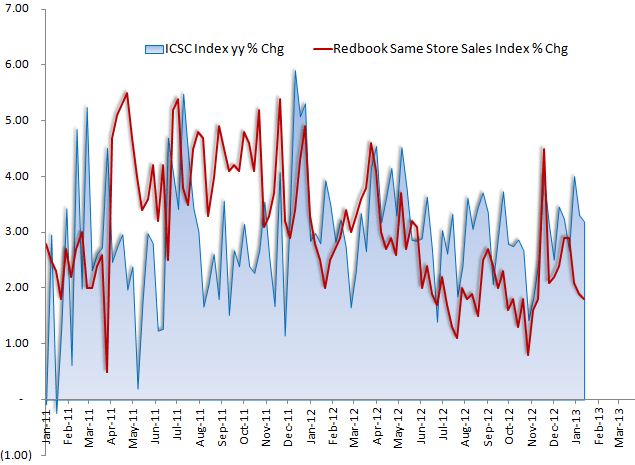 1) The Johnson Redbook and ICSC Same Store Sales Indexes, which tracks 70 and 80 general merchandise and apparel retailers, respectively, are both decelerating on the margin. 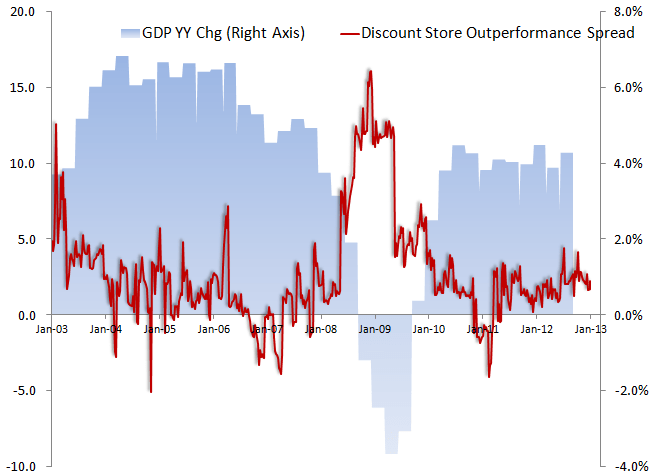 2) Redbook’s breakout of Discount Stores versus Department Stores suggests that the more discretionary categories are lagging. 4) …which on the whole is not a bullish statement about the consumer or the economy. Will We See 6.5% Unemployment in 2013?